Two years later, taking Steven Grant’s advice to write within genres or mediums outside those one aspires to, both Dan and I began writing for the Pulse, a pop culture website where Heidi MacDonald had written. 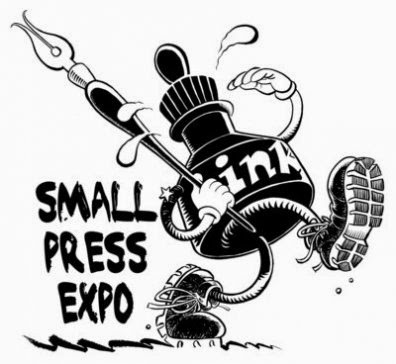 I wrote the weekly column, “For Your Consideration,” at the Pulse, spotlighting online and small press comics and creators. Dan wrote, “Am I Alone In This?” encompassing his personal reading journey through comics. 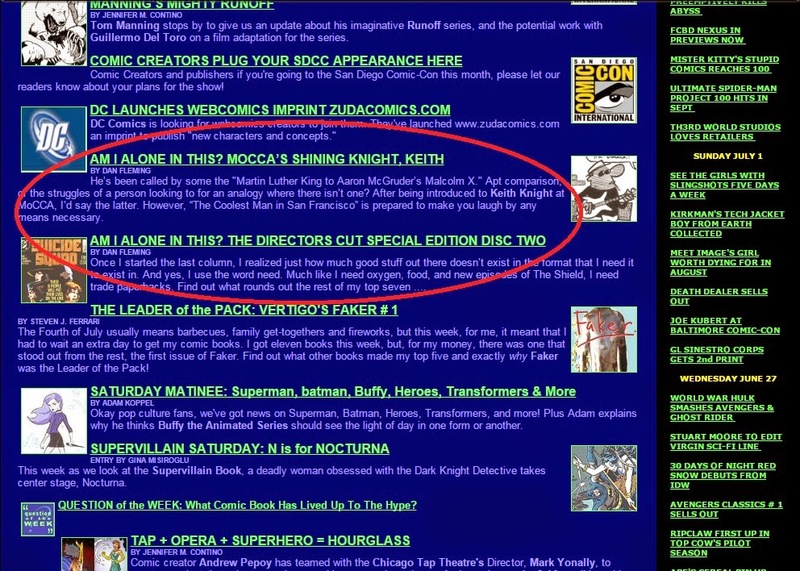 As Grant stated in his own column for CBR, if one wishes to be a writer, one needs to write and take the opportunity for publication wherever it may come, because any and all writing can only help you improve your craft and evaluating one’s writing upon publication affords one a different, and often better, perspective on its success, or lack thereof. Dan and I published two more issues of Warrior27, in 2008 and 2009, with ITMOD co-founder, Matt Constantine, joining us, along with some more great artists. Dan and I also started finding some publishing success outside our own venture. 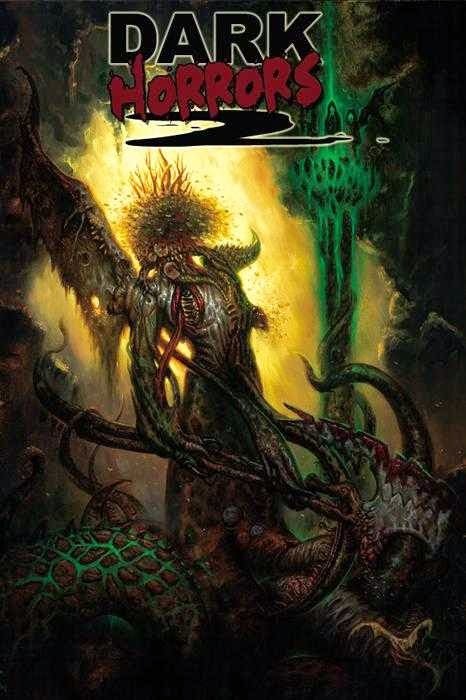 He got a short story published by Arcana, in their second Dark Horrors anthology, and I started writing some short fiction for a couple of burst culture sites – 50 Years From Now and Elephant Words. In my mind, I was going to take the Harrison Ford route – just keep plugging away at this creative endeavor until, through atrophy, those others who started at the same time I did will have fallen away like leaves, deciding it was too much effort for too little reward. 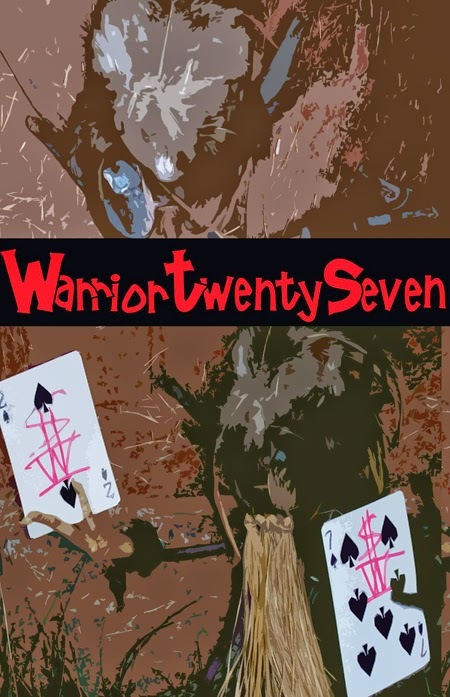 After we published a 254-page of Warrior27, which included all the best stories and articles from those four issues, along with extras like the interview I did with Joe Quesada in 2001, Dan embarked on a year-long blog adventure, My Year In Crime. For the entirety of 2010 and half of 2011, Dan posted every day on his crime blog. It was a great exercise and it garnered him a bit of attention, as he landed short interviews with authors Duane Swierczynski and Victor Gischler. Achievement unlocked. Not being a fool – and hewing closely to the paraphrased adage to steal the best ideas – I started my own year-long blog project in 2012, Reading Watchmen. For years, I’d been thinking about writing my own page-by-page analysis of this seminal work by Alan Moore & Dave Gibbons. With the template Dan provided, I finally went all in. Each month was dedicated to a single chapter of the comic, opening with a quick thematic overview of the issue at hand, followed by examinations of the cover and then the page-by-page annotations – a page a day, every day, with the issue’s full annotations at the end of the month. It was a big project, with daily deadlines, but incredibly fulfilling. 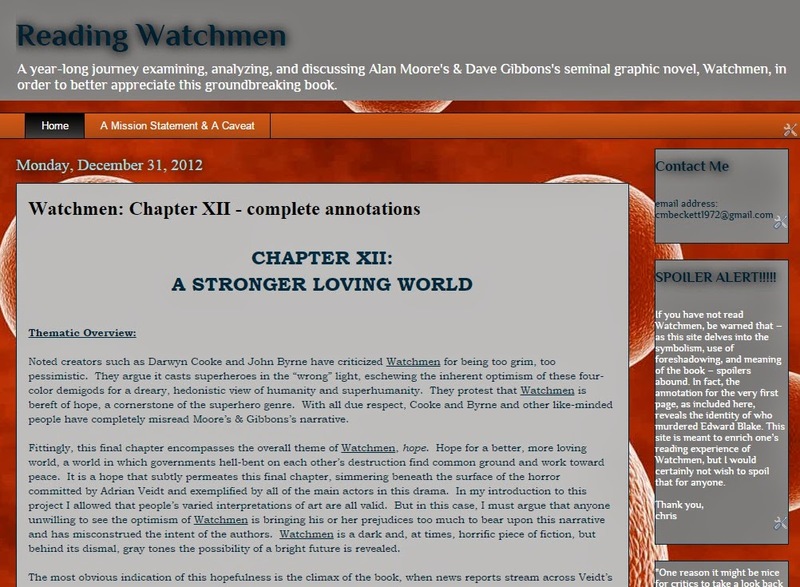 In the end, I wrote a bit over 87,000 words on Watchmen and did not miss a deadline. At this point, the writing continues, for both Dan and myself. I’ve met with some success, having short stories published – comics and prose, alike – every year since 2010, with two more scheduled, hopefully, for publication this year. Right now, Dan is hip-deep in his non-fiction novel, while I have begun the second half of a novel that’s been sitting in the back of my brain ever since I taught on Matinicus Island, twenty-four miles out in the Atlantic. 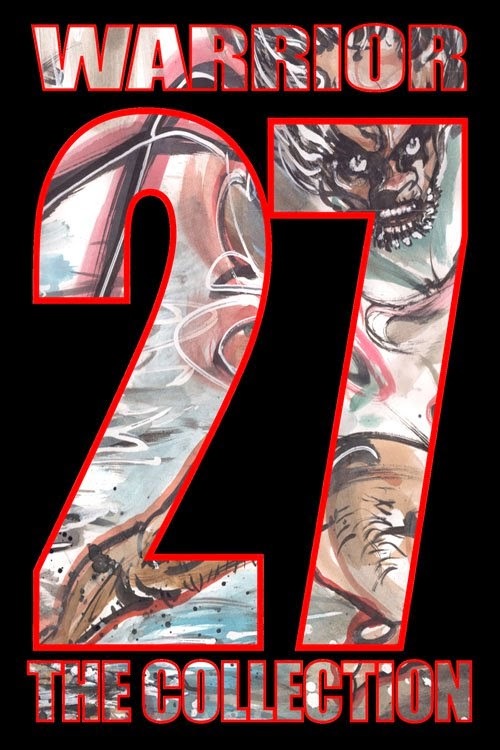 We’re not done yet – Dan and I are too damn pig-headed – and with the tenth anniversary of that first issue of Warrior27 coming up this August, we’re thinking of publishing something new. I don’t know what it will be – and I can’t even say, for certain, that it will get done – but it’s exciting to think we’ve come this far.